…we’ll remember all through our lives. So goes a verse in the Carpenters’ Christmas classic, “Sleigh Ride.” This song will be playing while my parents and I drag up the big plastic containers with red and green lids from the basement that snugly hold our universe of Christmas decorations. We’ll pick and choose from the bins which knicknacks we want to place around the house and which ones we don’t feel like dealing with, and slowly begin to unwrap each of the dozens of ornaments from their boxes and paper towel wrappings and bubble wrap. We’ll marvel over the ornaments that have made it 20 years or more, over the handmade pieces I created in school as a child, and the still wonderful, potent smell from the clove ball all these years later. Harrison will circle around us, sniffing everything. We’ll remember when Casey used to try to distract us with a toy. Dad will come at the very end, to hang his favorite ornaments and to lift me on his shoulders to place the angel on top of the tree. Then we’ll switch on the string of lights… and all will be well and wonderful in the world. I could go on with so many more details just about this very activity in our family. I could explain in detail every single ornament by its looks, its origins and its sentiment. But I think I’ve shared enough for you to imagine the rest. 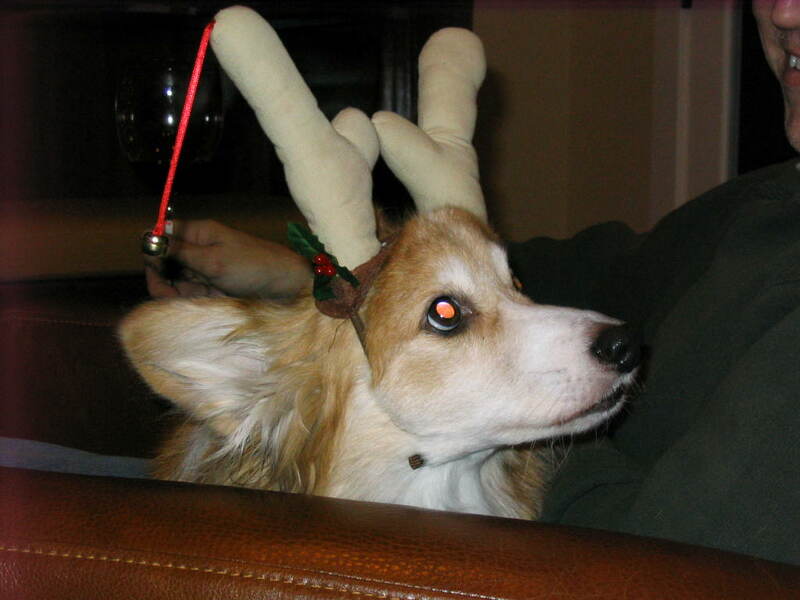 Now with that image in my head, I want to share some of my favorite memories of Christmases through the years. And then, I want to hear some of yours! Our very first Christmas together as a family, in the trailer in Louisiana. I wore plaid pajamas. I don’t remember what presents I unwrapped and squealed in delight over, but I do know that the best gift of all was a new dad. My first Christmas in Ohio, in 1992. It was the second time I had ever seen snow, and the first white Christmas I had experienced. For nearly 13 years going to see the Cincinnati Playhouse production of A Christmas Carol. We saw it so many times we could recite the entire script and name all the changes in cast and tweaks in dialogue. Some favorite gifts over the years: Barbie bike, 64 box of crayons, My Pretty little Ballerina, stereo, digital camera, books & more books, a leather jacket…the list goes on. My parents never ever disappointed – and always surprised me. Coffee first, then presents. Then pancakes. Watching A Muppet Christmas Carol. Doing stockings last. It’s our thing. Christmas gift exchange and gathering with my mom’s family in Louisiana. Dozens of people, lots of food, alcohol, and everyone talking at once. Simply put, a madhouse, but also “wonderfully great” at times. Watching It’s a Wonderful Life with my parents for years, and then continuing the tradition with friends in college. Year after year, my dad and I reminding my mom that she must get the HoneyBaked Ham for the rest of her life to make up for the year that he and I stood in line outside for 3 hours in the freezing cold and snow. The year? Somewhere around 1994. 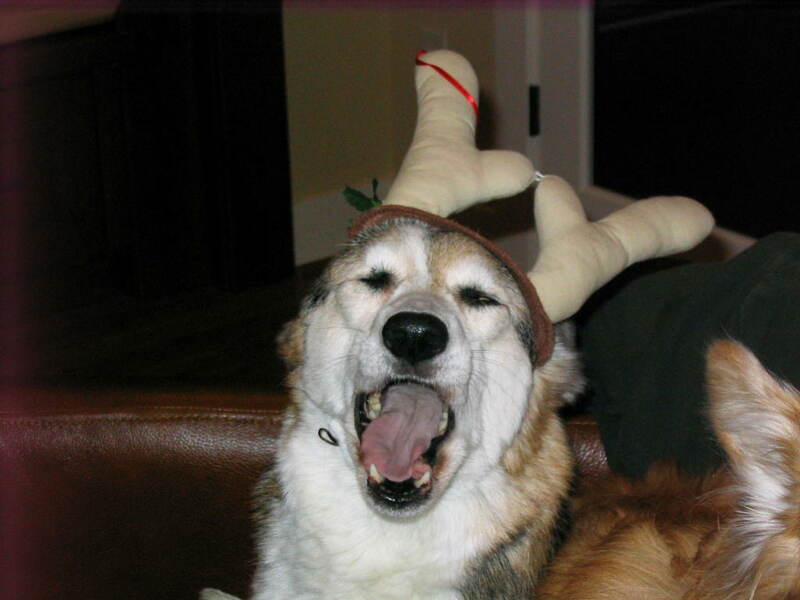 Putting the reindog antlers on Rocky, then Harrison and Casey. Simply basking in the pleasure of each other’s company, and relishing health and happiness. Christmas doesn’t start for me until my dad puts ‘Sleigh Ride’ (from the Time-Life Classic Christmas Collection, no less) on the CD player and dances to the entire song, going in breathless circles around the 1st floor. Only problem — the older he gets, the shorter the routine seems be be! But my brother and I are happy to help out. And I intend to do the same dance for my kids as long as I’m able.